There are 50 various species of termite found throughout the United States. But there are two common species of termites in Arizona. Below are some determining traits of the Drywood and Subterranean Termite species. Drywood termites live and create elaborate tunnel systems in the same wood or source of cellulose material that they feed on. Typical places you will find these types of termites include furniture and the wood behind walls. Sometimes Drywood termite infestations go unnoticed until they are widespread. Keep your eyes open for loose piles of pellets, or termite droppings also known as frass. This is usually seen where feeding is happening. Drywood termites are less tolerant to the cold, therefore they are more commonly found in the southern U.S.
Subterranean termites build elaborate mud tunnel colonies in loose, damp soil. These tunnels allow them access to above ground food sources, while staying hidden under the ground. These types of termites tend to move within the foundation cracks of homes, feeding on damp wooden sections. Keep your eyes open for signs of these mud tunnels as they can indicate current or past infestations. Because drywood termites are more cold tolerant they are more common throughout the United States. A pest control specialist is trained to identify termite species. 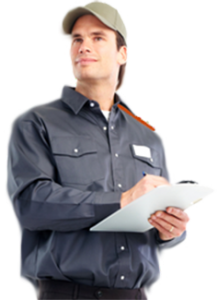 They will be able to determine just what kind of infestation you have as well as the proper and specific way of treating that infestation. Need help in Mesa? Visit Termite Control Mesa.